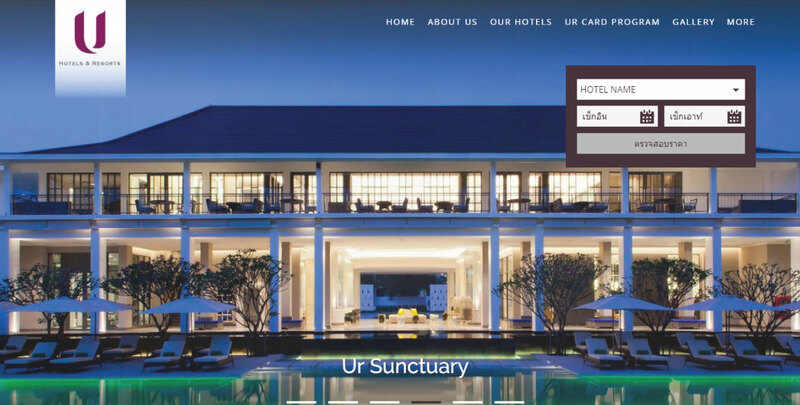 Absolute Hotel Services is delighted to announce the new U Hotels and Resorts brand website, an exciting era in guest experience and interaction with the unveiling of its new website for the group. Due to the rapid progress in device and computer technology responsive websites are being introduced to offer smoother, viewer-centric online participation. Able to provide an optimal viewing experience combined with easy reading plus a minimum of scrolling, resizing and panning across the whole gamut of portable and anchored devices responsive websites are simple to use and richly satisfying for the reader offering seamless website navigation. U Hotels & Resorts are boutique properties situated in the most desirable of locations including Thailand, India, Indonesia and Vietnam. Each and every U property offers guests a perfect stay by providing superlative levels of comfort and service coupled with unique U touches including 24 hour use of room, breakfast whenever/wherever and the chance to pre-select amenities such as a choice of pillows and soap fragrances. The new U website will come online on 20th November 2015.